So I just acquired my dad's mini cooper after he passed and it needs some new rotors and pads. In your experience, what are the best rotors and pads for this vehicle? I saw RockAuto have a set of drilled front/back kits for around $400. This car isn't my daily driver so I would like to just go big and make it my fun performance car. Thanks guys! For brakes, are you wanting a performance set up? We have just basic brake overhaul kits here. Otherwise, I tend to prefer the slotted rotor set up vs. drilled due to the possible cause of drilled rotors cracking. I track my car though, so you may never put enough pressure on the rotors as a daily use, but slotted are sufficient enough. We don't have much of a performance area for brakes, but look into possibly StopTech vented/slotted rotors and maybe some StopTech Performance Street Pads. You could do that HAWK Ceramic Performance Brake Pads here as they will be less noisy and have less dust than their more intense pads. A good add on would be stainless steel brake lines here and running a good brake fluid such as ATE Typ 200 here. Or, you could go all out and go with a big brake kit, but that gets a bit pricey and might be overkill if you don't plan to do any type of track/autox driving. Can view them here. Highly recommend SP Performance Rotors for the mini coopers. the're prices are very competitive and their parts are reliable. check em out. Performance Brakes - Drilled and Slotted Rotors. I would call them and call them direct to make sure you get the right parts though. 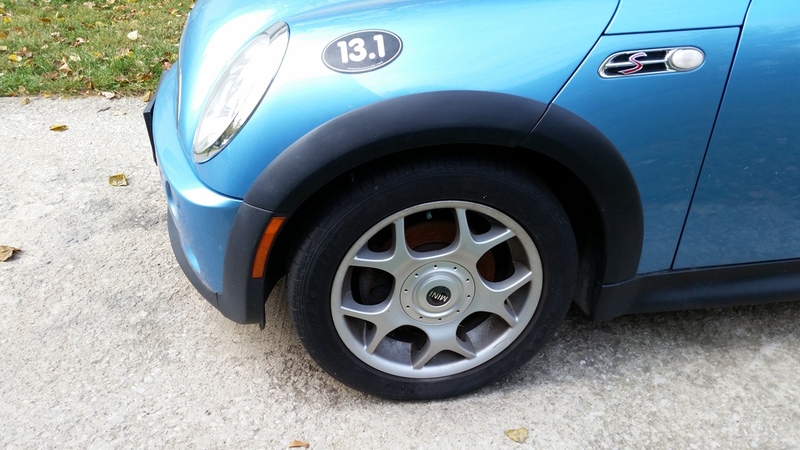 depending on what type of cooper you have they offer different size rotors and the last thing you want is to order the wrong ones. Get the grey coated rotors, the zinc plating may look cool but the grey painted rotors have been on my mini cooper s for almost 3 years now and have yet to see any rust.